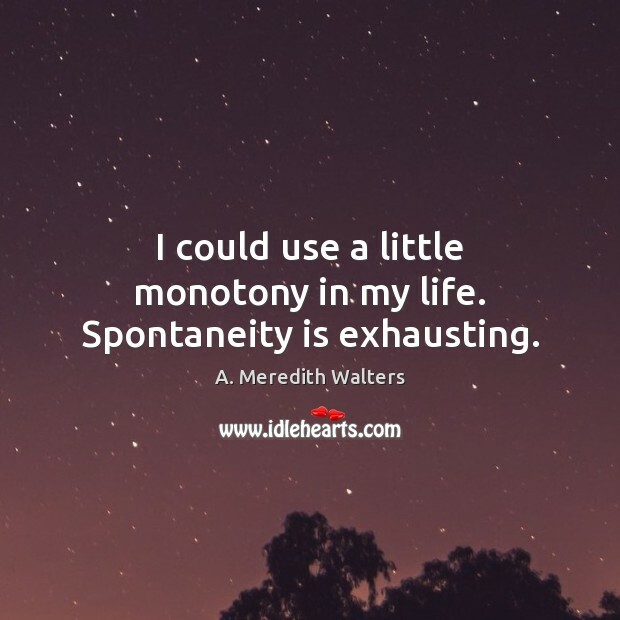 Enjoy the best inspirational, motivational, positive, funny and famous quotes by A. Meredith Walters. Use words and picture quotations to push forward and inspire you keep going in life! 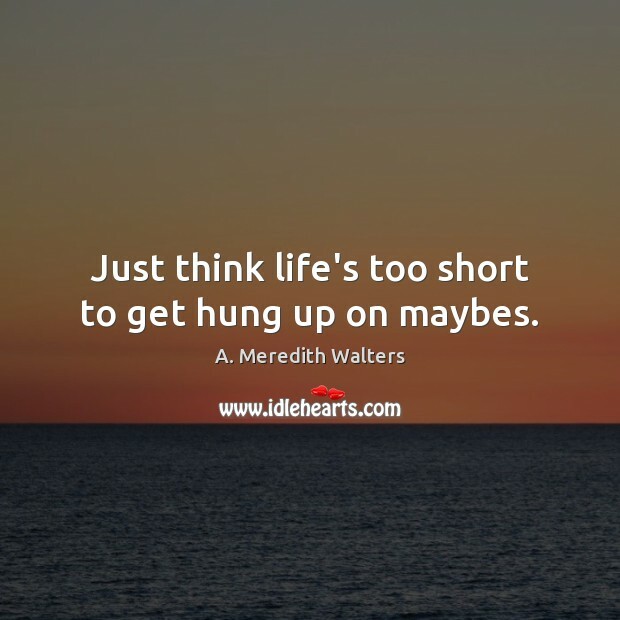 Just think life's too short to get hung up on maybes. 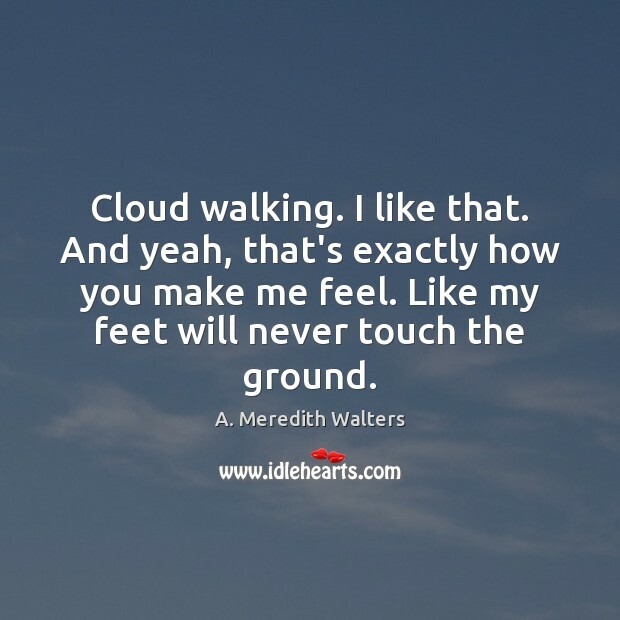 Cloud walking. I like that. And yeah, that's exactly how you make me feel. Like my feet will never touch the ground. This is what love was supposed to feel like.This perfect immersion of two people who were ready and willing to become a part of each other. Daniel Lowe. My savior. My perfect guy. 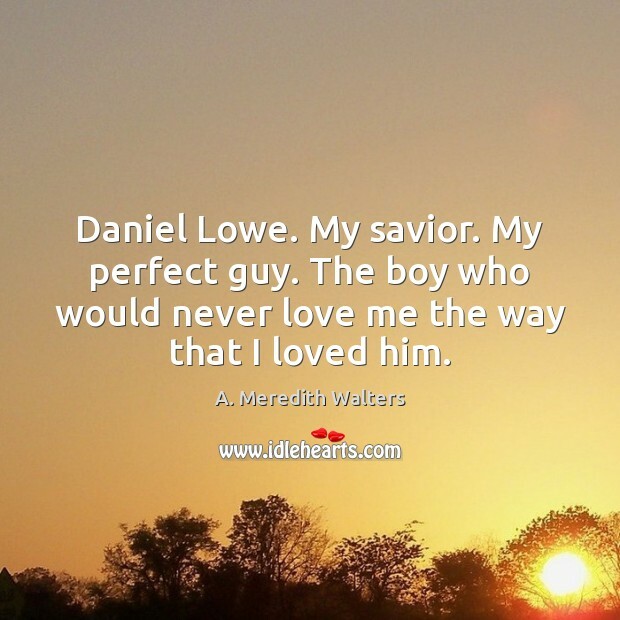 The boy who would never love me the way that I loved him. 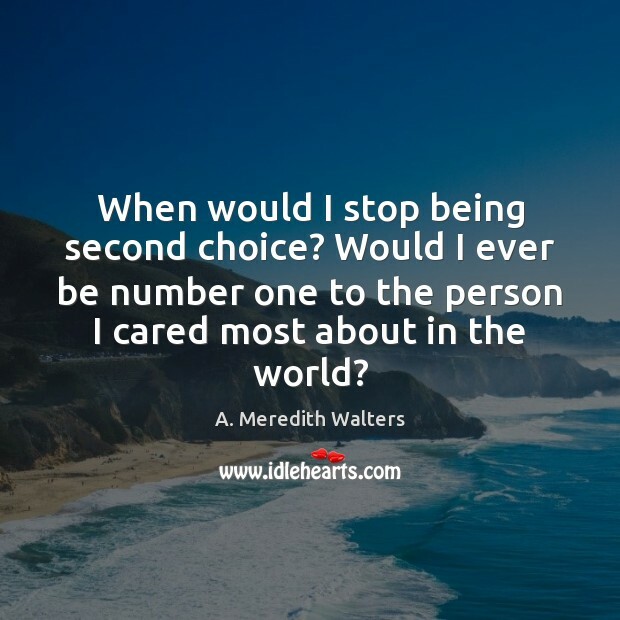 When would I stop being second choice? Would I ever be number one to the person I cared most about in the world? Have a life that matters. 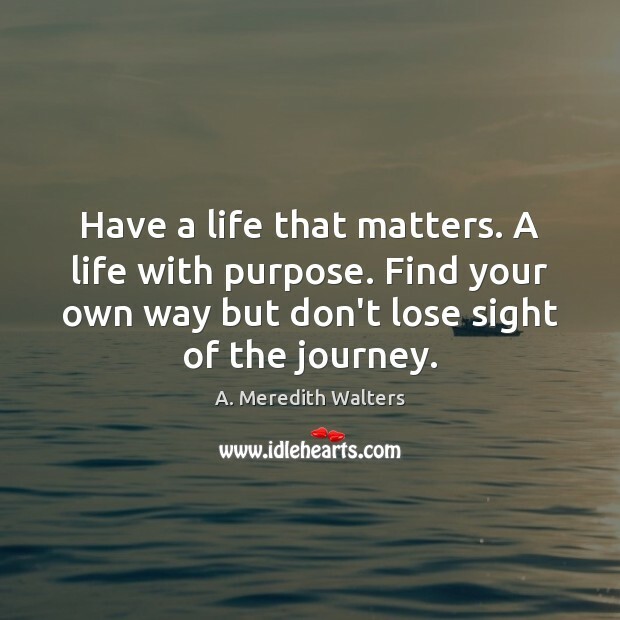 A life with purpose. Find your own way but don't lose sight of the journey. 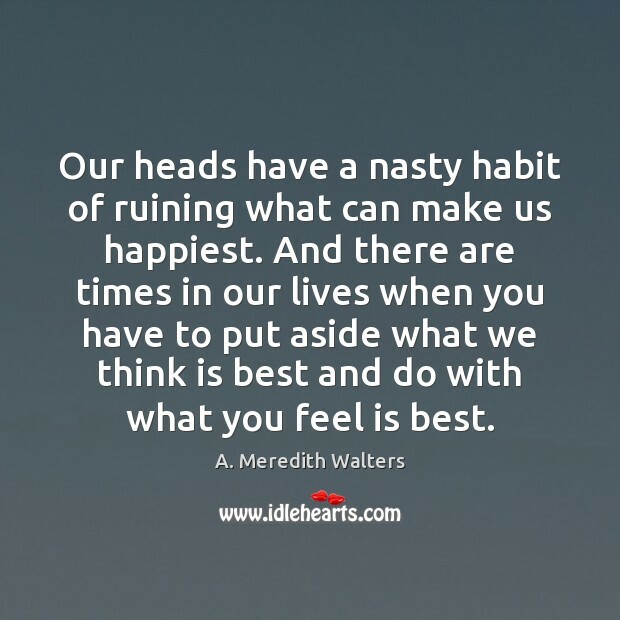 Our heads have a nasty habit of ruining what can make us happiest. And there are times in our lives when you have to put aside what we think is best and do with what you feel is best. 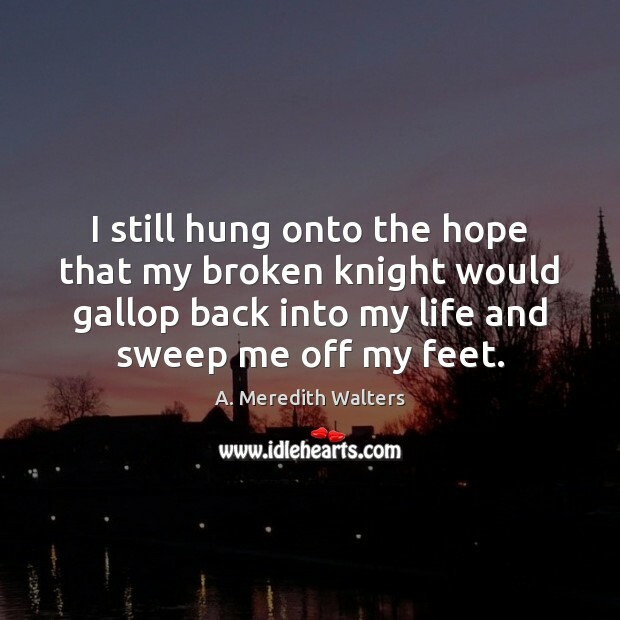 I still hung onto the hope that my broken knight would gallop back into my life and sweep me off my feet. The thing about shadows is that they're not all darkness. 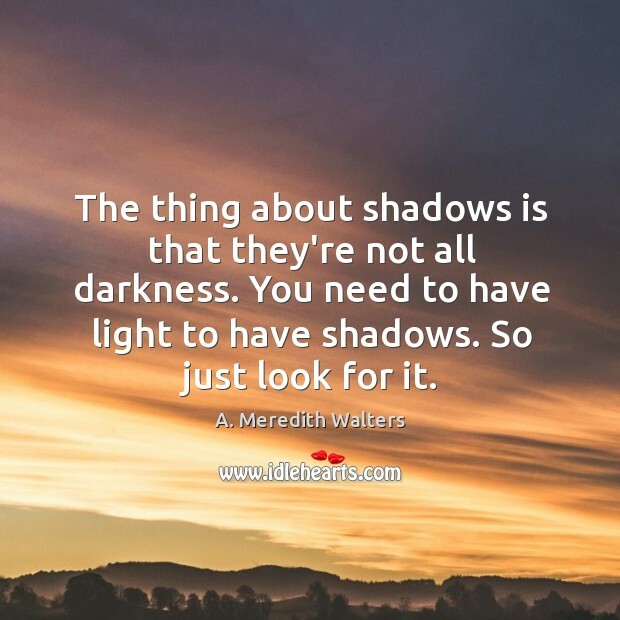 You need to have light to have shadows. So just look for it.